New York, 14th November 2014 — Witbe’s Senior Vice President of Innovation and Technology, Jean-Michel Planche, earned the first-place prize at the Over-the-Top Video Executive Summit (www.OTTExec.com) held this week in New York, by being awarded the “OTT Genius” crystal trophy. This award is significant since it was voted on in real-time by a prestigious group of 88 OTT thought leaders, representing companies across the OTT industry including content, broadcasters, service providers, and enabling technologies. Participating companies included Verizon, Comcast, Orange, Intelsat, DIRECTV, Akamai, Netflix, Roku, Asia TV, NBC, QVC, LG, Ooyala, Ericsson, and many others. Speakers and attendees at the OTT Video Executive Summit participated in a game system that awarded points throughout the day to speakers and commenters who provided strategic insights on a range of topics. The OTT Video Executive Summit brought together thought leaders in the industry to discuss topics crucial to the development of streaming video and evolving Pay TV business models. In addition to experts and executives, the conference included a “Trender Panel”, or focus group, of everyday people from various demographics. The event was also gamefied, with the leading point-getter being awarded the “OTT Genius” trophy. “I really enjoyed being part of this edition of the OTT Video Executive Summit. It offers an innovative format, which is a real game changer, compared to a lot of other conferences. It is refreshing to get a chance to share our ideas in a dynamic and interactive way” said Witbe’s Mr. Planche. “On top of everything, being awarded “OTT Genius” by such an incredible assembly of real life participants and OTT experts means a lot to me. It is a great honor and a beautiful acknowledgement to my last 25 working years that I spent dedicated to user centric technological solutions and driven by an Internet-minded philosophy. Mr. Planche impressed the audience while participating on two panels: “State of the OTT industry: Net neutrality, industry consolidation, and the emerging new OTT ecosytem” about the major trends in the industry, and “You’re gonna break the Internet with that thing! Could OTT really do that?” which was about delivering a quality OTT user experience despite the challenges of Internet bandwidth being consumed by streaming video. 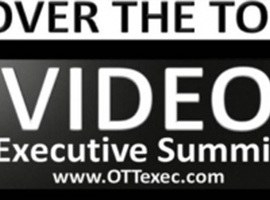 The OTT Video Executive Summit is a one day event and is open to executive across the industry. The date and venue for the next Summit is currently being researched. For more information or media inquiries, contact Brian Mahony, <http://www.privatedaddy.com/?q=eHt5NHZZYSJ7JhI0VkVbcwVbXANcN2QnBX1tV2dPMA-3D-3D_19>.